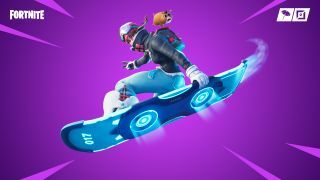 After an announcement and subsequent delay last December, Fortnite's long-awaited Driftboards have finally arrived as part of update v7.40. As Epic announced in a new blog post, Driftboards are now available in Save the World, normal Battle Royale games, and the new limited-time "Driftin'" Battle Royale mode. The new Driftin' mode, meanwhile, pits two teams of 32 players against one another in a map overflowing with Driftboards. You'll also slowly regenerate health and shields while riding a Driftboard in this mode. As a reminder, both the Driftin' game mode and the Driftboards themselves will only be available for a limited time. Here's hoping they stick around for at least a few weeks, because if that whole Fortnite earthquake situation doesn't calm down, we're going to need a quick way to get out of dodge. Driftin' isn't the only new limited-time mode, either. A new grenade-only mode called Catch was also added in update v7.40, in which all guns have been replaced with throwables ranging from Clingers to Port-a-Forts. The item spawn rates in Catch have also been cranked to 11, so you should never run low on grenades. I suspect most players will dogpile the awesome-looking hoverboards, but I have to admit, Catch does sound fun. Fortnite Season 8 is just weeks away. Here's everything we know about the next chapter in Fortnite history.